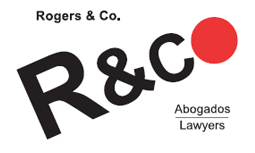 Based in Madrid, Spain, Rogers & Co. has worked as a team on personal injury claims for foreign clients (including class actions) for the last ten years. More recently, we are also acting for a large number of UK Tour Operators and their insurers. Our experience spans not only all sides of the claim process, recoveries and enforcement in Spain, but also advising on Spanish law in foreign courts, principally the courts of the UK. From a commercial point of view, we have advised foreign underwriters on compliance relating to travel insurance and foreign service providers in relation to package holidays. Marie Rogers grew up in London and qualified and practiced as an English solicitor in the City before moving to Spain 15 years ago and qualifying as a Spanish lawyer. This unique background allows us to combine our experience with a real and focused awareness of our clients’ cultural differences and expectations.